Last week, we were given a tease on the next project by Bandai Namco, which you can watch above. The "Prepare To Dine" line was used and people suggest this is From Software's upcoming project after completing the Souls series with the release of the final DLC for Dark Souls 3. 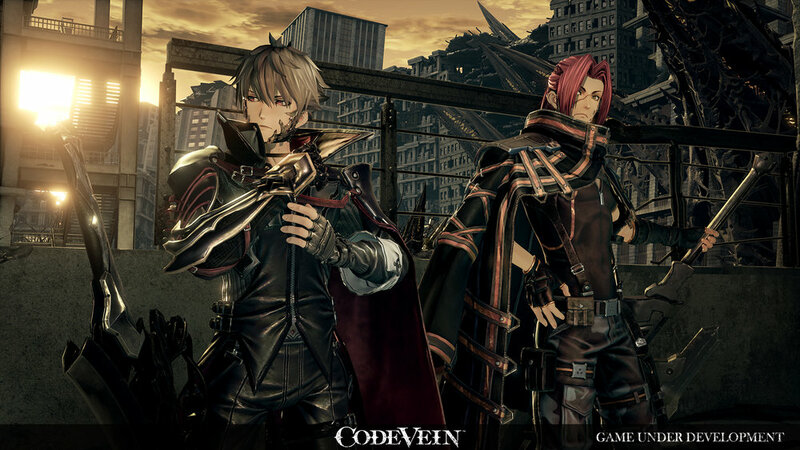 Now, Bandai has announced the project and it's called Code Vein, and it's not being worked on by From Software but by the folks that created God Eater. 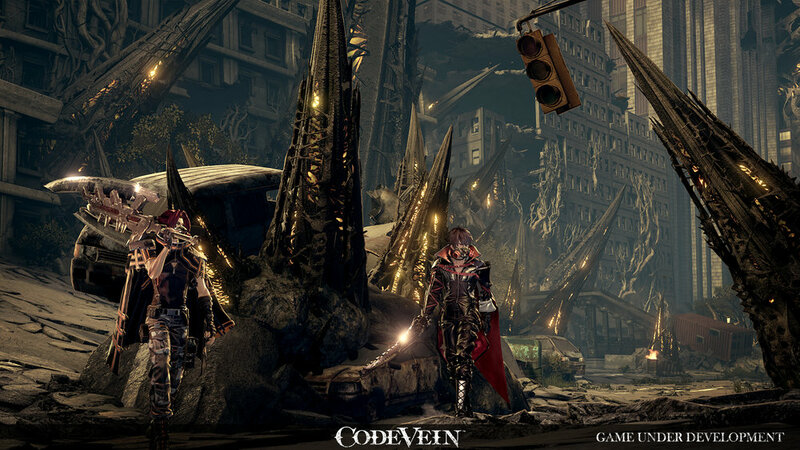 It's a vampire-themed action-RPG and you take the role of a Revenant in a not too distant future, where a disaster has pretty much ruined the world. 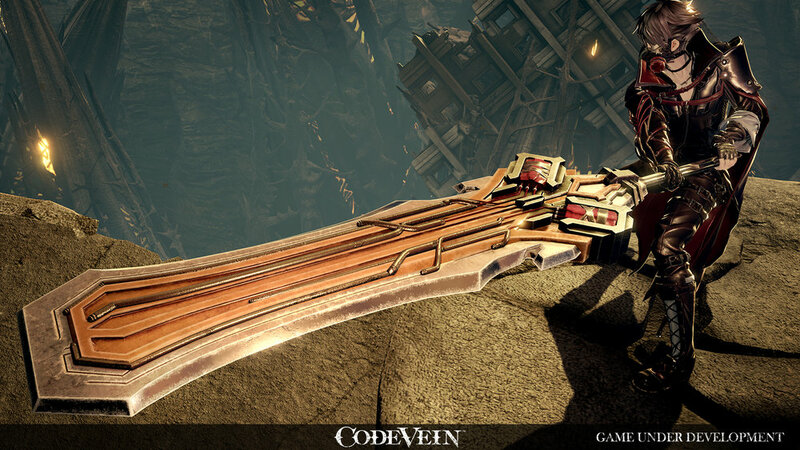 In this world, you will be part of a society of Revenants called Vein, which seems like the last stronghold for those still fighting the good fight. You are accompanied by the residents of Vein to figure out the mysteries of this world. Revenants, sounds like super vampires. 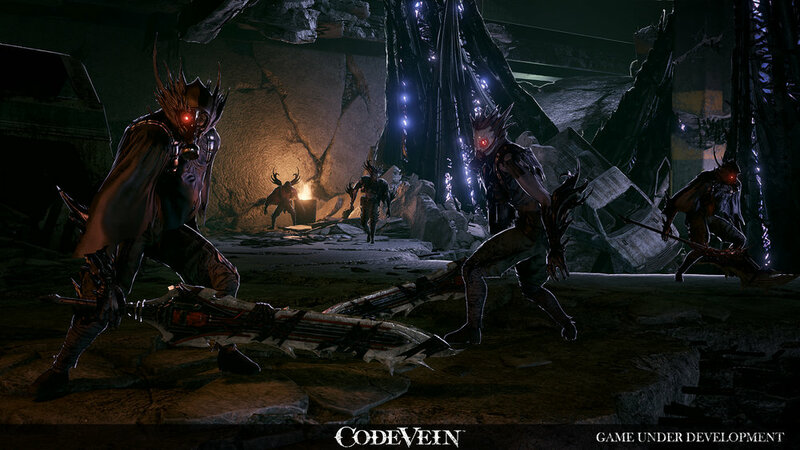 With access to Blood Veils, they are able to drain blood from enemies which enhance their abilities. Abilities in the game are called Gifts and expect a variety of play styles for players to experiment on. With the details provided, they didn't go into detail on the different Gifts you can play with, but with the screenshots provided, there seems to be a good variety of weapons to weild though. Bandai Namco calls this a challenging action-RPG, but it remains to be seen if it will be in the same difficulty as the Souls series, or even worse. 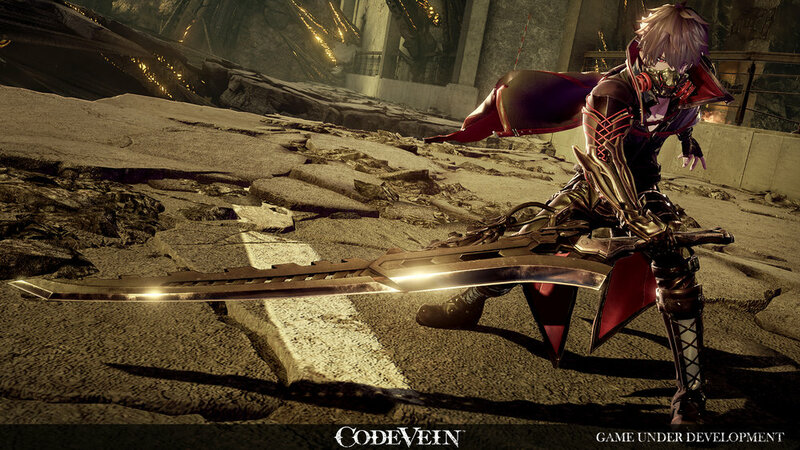 Code Vein is scheduled for a 2018 release.